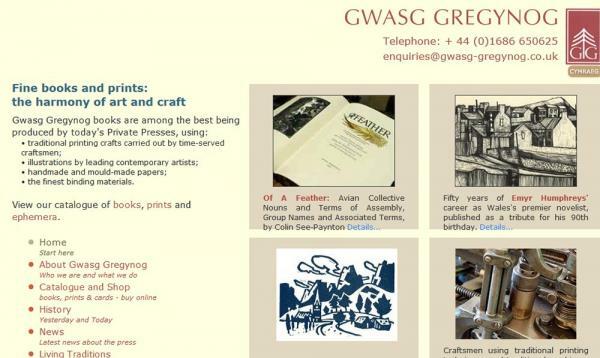 Gwasg Gregynog (near Newtown) are a private press producing fine books and prints using traditional techniques and equipment. The website includes an online shop and complete catalogue of their books and prints, including a large number of images. Bilingual website. Technical features:PHP and MySQL, with content management tools to allow the owners to update the site themselves.